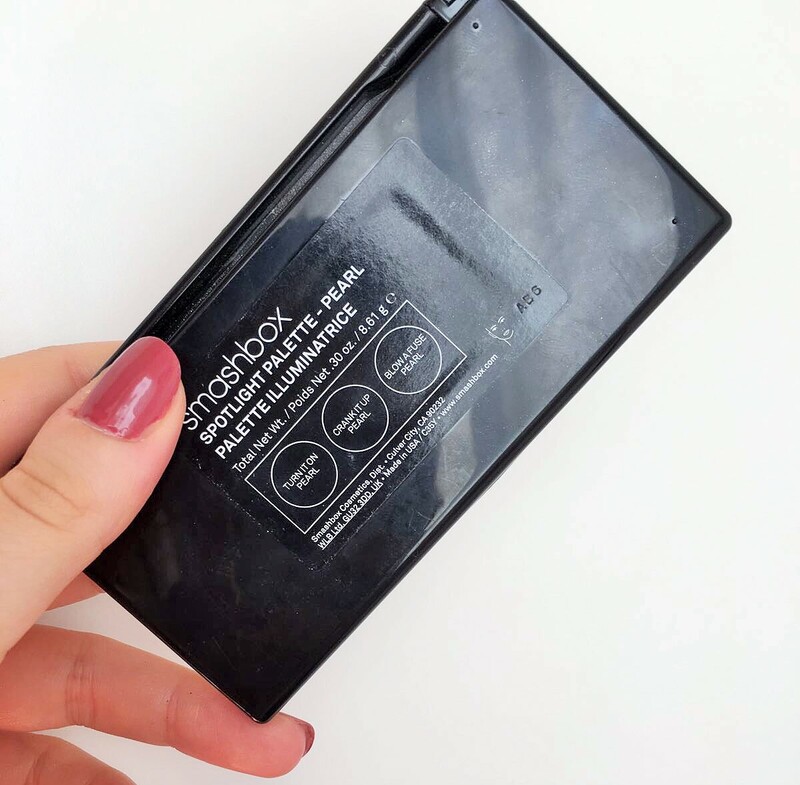 I really enjoy doing reviews (here my last one Dior Addict Lip Tattoo Review) so today I’m sharing with you my opinions about the Smashbox + Casey Holmes Spotlight Palette in Pearl. 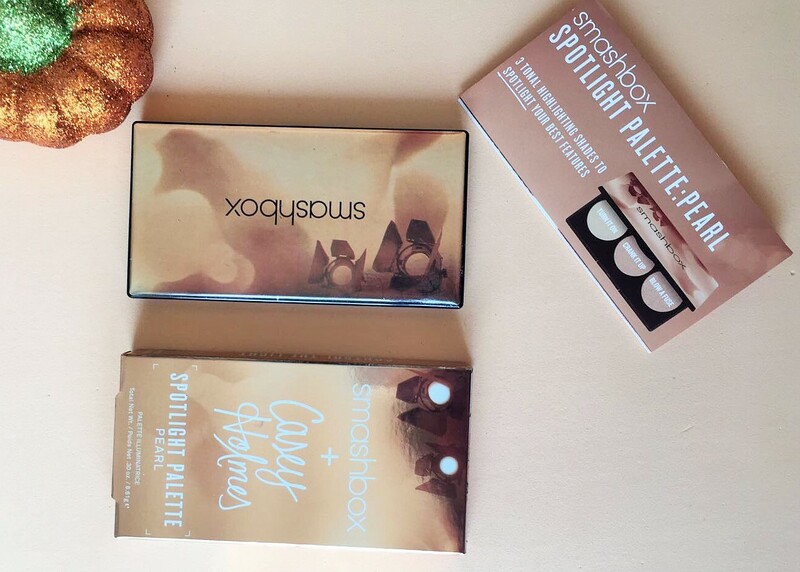 I’ve been following Casey’s channel since 2012 and I was so excited to when I saw her collab with such a big brand like Smashbox. (I’ll link you the video where she talks about the palette). 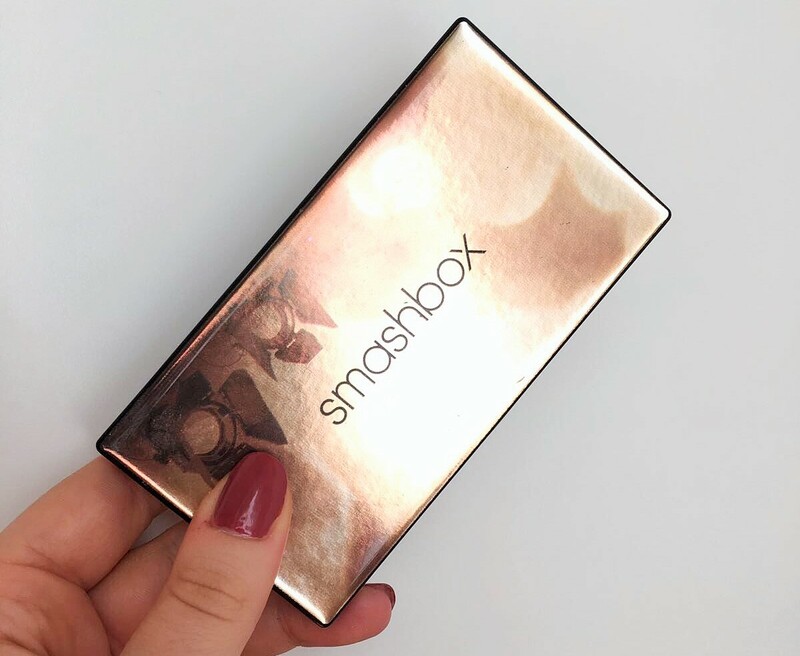 Smashbox powders are some of my favourites, I’m obsessed with the Full Exposure Eyeshadow Palette, such a creamy formula, really buttery and pigmented. So I had really high hopes for this palette. 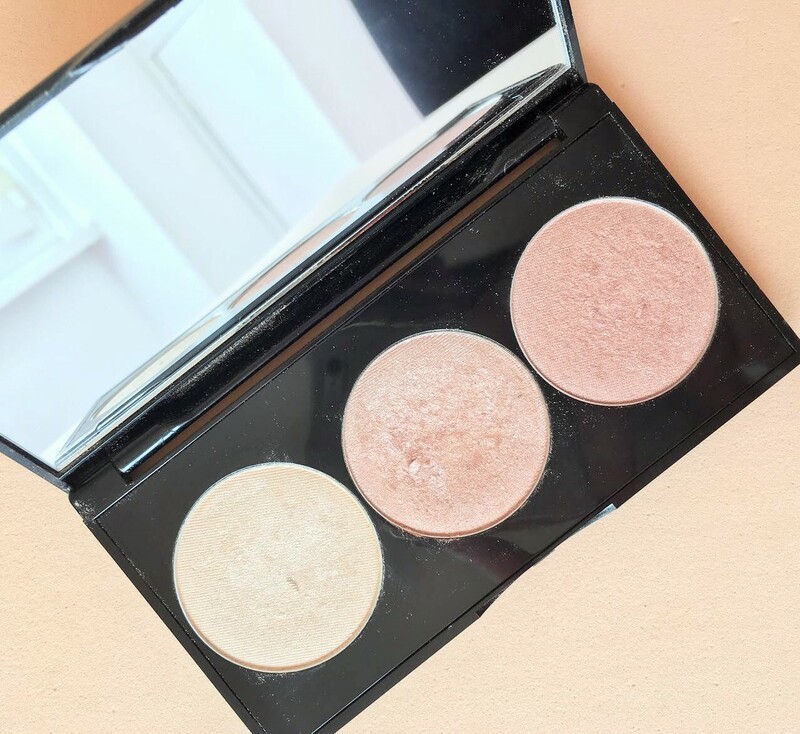 Blow A Fuse, A shimmery cream, for a softer glow. Crank It Up, A true champagne, my favourite one, since I like a bolder highlighter. Turn It On, A more sparkly champagne that is supposed to be used on top of the other shades. 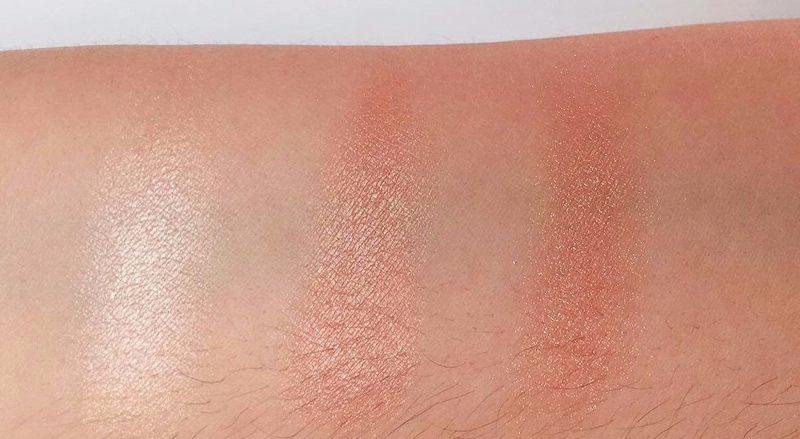 I honestly think that Casey has done an incredible job with this palette, we both have skin with texture and each of this powder glides on it without enhancing it. Each shade is really pigmented you don’t have to use a lot at all. Just tap the brush in it and you’ll get more than enough, that will make the palette last for a long time. The powder is really velvety smooth even in the more glittery shade. Actually, I have to be careful with that one because it can enlarge the pores on my cheek so I just put it on the outer part and I’m fine, but the glitter tent to stay on your face without flying everywhere. You just have to be a tiny bit more careful. It’s stunning on the eyes though. 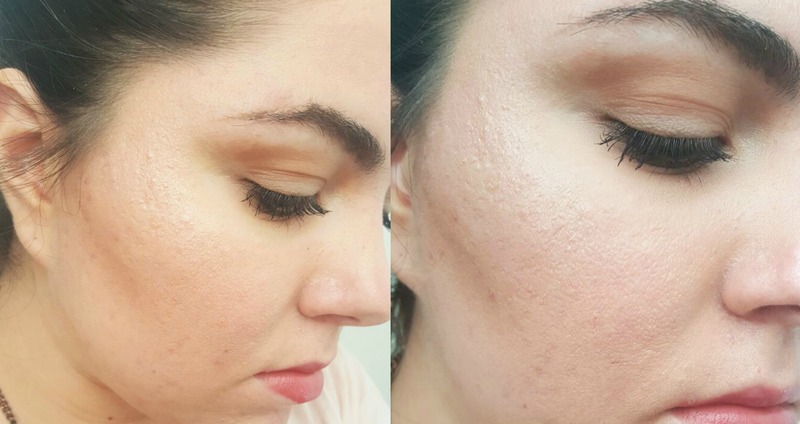 Once it’s on is really easy to blend and on me, it lasts all day. I took a nap and it survived! But other than that it lasts about 8 hours without fading on me. I really like the packaging too: it has a full-width mirror and the component is really sturdy yet compact. 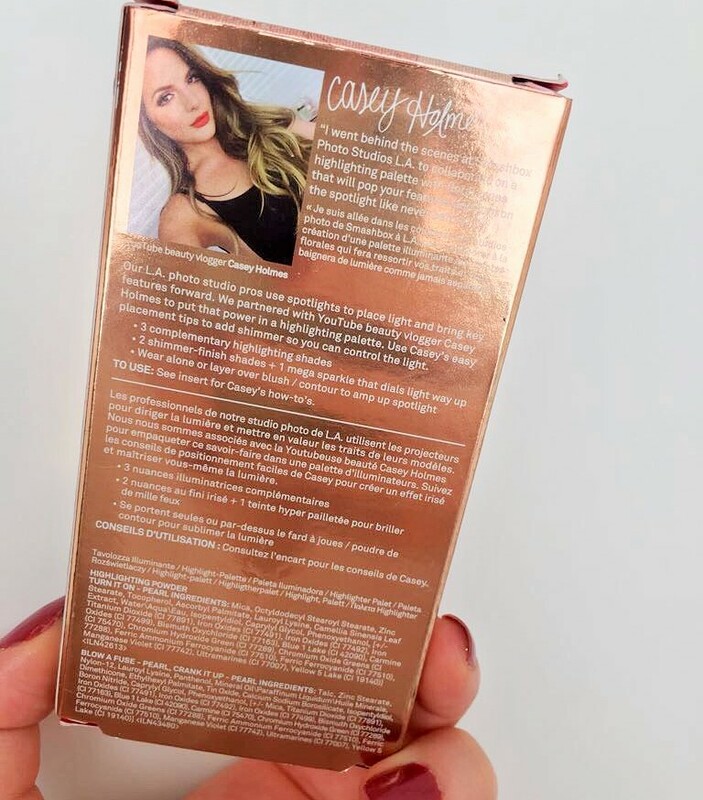 It comes in a cardboard box with a pamphlet in which Casey explains how to best use the palette. I think is a really nice added touch that makes it feel really special, you can see that she created it for her followers with so much love. It also comes in a Gold shade and although is really pretty I think is too dark for my complexion. It’s available on smashbox.com and in all the stores that sell the brand for 35$ and I’ll totally recommend it. I’m obsessed with this palette, I think you get a lot of value for your money since you have to use the tiniest amount for maximum pigment, I love that I can go from a more subtle look to a more heavy one and that I can use it on the eyes as well. Overall I can recommend this palette enough. Have you tried this product? Do you want to? I really hope you guys enjoyed it, don’t forget to like, comment and share to let me know all your thoughts and if you have any question. Please subscribe to my social media: I am on Instagram, Twitter and Facebook. 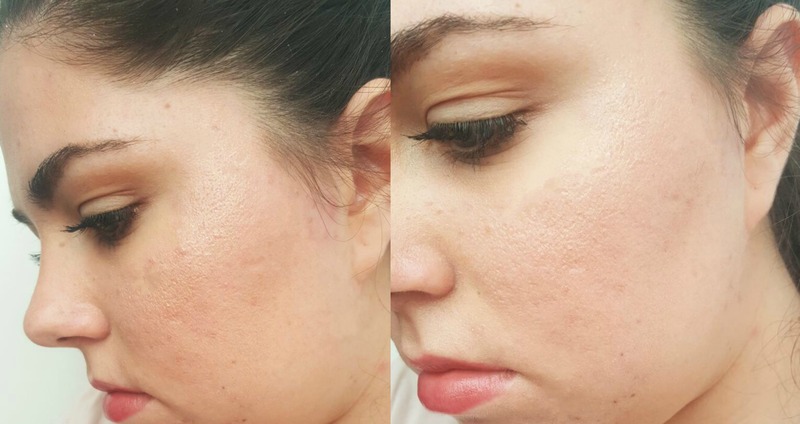 I love all of your make up reviews. You show products I would like but don’t ever go check out. I swear I break out into a cold sweat walking into Ulta or Sephora with the plethora of products! Those colors are right up my alley! This pallet it dreamy!!!!! Like those champagne tones are gorgeous and so something I could see my self wearing! Thanks for sharing! This palette looks gorgeous! Love these soft colors. I’ll check it out next time I’m at the store. The palette looks so nice! I have both this one and the gold palette. They are some of my best highlights! I love the pearl one during winter! Yeah it was good during the summer for me when I was tanned! I am a ghost through the whole year! Ahahah sadly is not for me, super sadly cause the formula is so bomb!